“I have a dream of making digital India where Cyber security automatically becomes an internal core aspect for our national security” – This sentence was quoted by Mr. Narendra Modi, the current Prime Minister of India since the year 2014. 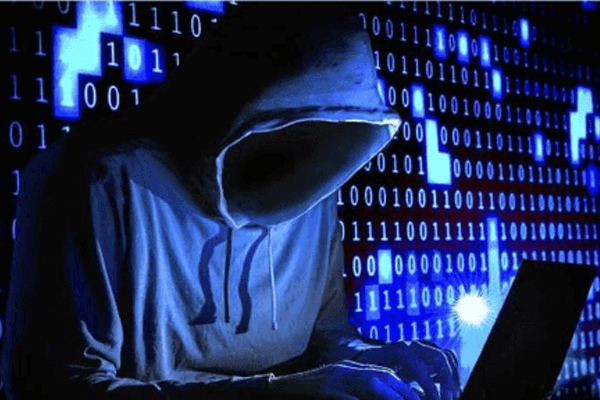 The increase in economy and digitalization in India are now actually a major concern because cybercriminals have begun targeting over the developing countries worldwide. In most cases, countries have the one that has a huge population and average annual income. A sharp growth can be observed in the total number of data breach incidents and cybercrimes occurrence across organizations and different sectors. Huge companies have the power to include the disaster in most situations by preempting threats on their machines via resilient protection machines. In addition to this, small firms are the one who emerged to go through most from a massive loss in terms of data and reputation as well. Small Firms Are Easy to Exploit – When it comes to Cyber security in India, it is being found that internet attackers are well-known with the complacent nature of small firms. They deeply understand that small Indian firms invest less-to-no finance to enhance or strengthen the existing Cyber security level. Luckily, this practice of not upgrading cloud security measures in small companies is an easy chance for hackers to exploit. One can found a robust cloud security solution in big Indian enterprises, which makes it tough for attackers to perform data exposure or cyber threats. However, many companies have their systems interconnected with the small or mid-size industries. In such a case, when an intruder compromises the protection standards of SMEs, he or she can now easily penetrate into defense software of big enterprises. Users can consider data breaches as doom for small and medium-sized Indian companies. This simply means that they are more vulnerable to threats like Ransomware, phishing attacks, etc. Blind Trust on Business Employees – In regular hectic business schedule, use of IoT devices have increased the cloud computing security challenges. Enterprises are now opening the doors for cyberattackers to attempt their intended threat. More attention and safety measures are needed for enterprise leaders to ensure Cyber security in India. They have to make sure that all the IoT devices are placed correctly and there is not even a single gap from where network breach can be performed. Human beings remain the major and common concern for cloud security threats in Indian enterprises of all sizes. Many cases come into newspaper where we found that employees abuse their privilege rights, cause harm to the security layer of a firm while doing their regular work, and hence, a big data loss. In such kind of cases, employees don’t have to go through the major consequences; it is the company that has to pay its fine. As per the Ponemon Institute survey, there are around 22% of organizations, who suffered data breaches only and only due to their internal staff. The same survey concluded that there are 56% of enterprises who registered that the intruders were either employee who was going to leave the company or freshers. C-level Executives In Major Trouble – Whom to trust, whom not to – This is the major problem with c-level employees in an Indian business when they have to achieve Cyber security in their premises. They have to face reputation loss because of data breaches, especially in multinational companies. Someone said that: they want a ‘Catch’ internal threat breach solution that addresses the danger within the reasonable time duration to limit down and mitigate it. This makes it possible to notify the main victim or crowd through a controlled notification. Although large organizations are making use of third-party data monitoring applications. These apps help in analyzing employees behavior towards business crucial resources and hence, catch the culprit before time. However, with the perspective of saving money, medium and small enterprises do not prefer the use of data monitoring software. They feel that this can be done manually by appointing a single individual to keep a constant eye on more than 50 systems at a time. This kind of mindset is a major threat to Cyber security in India and it needs to overcome. The simplest and affordable solution to overcome cloud computing security challenges is to enforce CASB solutions in Indian companies. These solutions comprise all features within it that are required to achieve prevention against cybercrimes. One of the CASB solutions, which is available at reasonable rate, and trusted by enterprises worldwide, is CloudCodes. This vendor for Cyber security in India is trusted by many big enterprises worldwide for cloud data security solutions and management. Users can at least give this solution a chance to prove its capability, and once they get satisfied to go for the purchase. Rest, n number of solutions are available in the CyberWorld! You can try them as well and whichsoever fulfills your business requirements, you can go for that.